Luckily, I had early access to the ASCO abstracts under an embargo. What follows is a list and summary of abstracts likely to be of greatest interest to biotech investors. My list isn't comprehensive, but it should expedite your ASCO abstract search. As preparations for The Annual Meeting of ASCO heat up, a pre-meeting Presscast highlighted four abstracts of special interest to be presented in greater detail at the meeting in Chicago. All four are based on data from Phase III trials. 19 Presentations Will Highlight Myriad's Expanding Portfolio of Transformative Diagnostic Tests. Research Demonstrates Clinical Utility of Caris Molecular Intelligence and Advances Molecular Understanding of Cancer to Enable the Delivery of Precision Medicine. ARIAD Pharmaceuticals, Inc. today announced that clinical data on Iclusig (ponatinib) and brigatinib (AP26113), its investigational anaplastic lymphoma kinase inhibitor, will be presented. New data on priority candidates from Merck’s oncology and immuno-oncology pipeline are being presented, including avelumab, evofosfamide and tepotinib. Building on the scientific advances the company has pioneered in Immuno-Oncology, Bristol-Myers Squibb will present data for Opdivo andYervoy across multiple solid tumor types, as well as elotuzumab in relapsed or refractory multiple myeloma. By inhibiting PD-L1 interactions, avelumab is thought to enable the activation of T-cells and the adaptive immune system. 61 data abstracts - with 6 oral presentations - to be featured from across AstraZeneca’s broad pipeline, including in lung, ovarian and breast cancers. 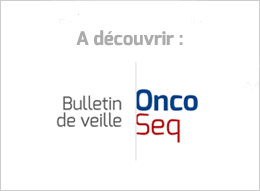 The Company is initially focused on the development of PB272 (oral neratinib), a potent irreversible tyrosine kinase inhibitor, for the treatment of patients with HER2-positive breast cancer and patients with non-small cell lung cancer, breast cancer and other solid tumors that have a HER2 mutation. ImmunoGen's mirvetuximab soravtansine is the first ADC to target folate receptor alpha (FRα), which is highly expressed on many ovarian cancers and on other types of solid tumors. The ASCO presentations will be on the initial findings from the Phase I expansion cohort assessing this ADC as a single agent for the treatment of patients with FRα-positive platinum-resistant ovarian cancer. Includes data from studies evaluating radium-223 dichloride, regorafenib and sorafenib along with research from Company’s clinical oncology pipeline. The curtain has been raised on the first act of the annual cancer drug lollapalooza at ASCO, with the first round of abstracts spotlighting a series of early winners and at least one big loser: Puma Biotechnology. The latest cancer research findings from Dana-Farber faculty will show new treatments for diseases including melanoma, gastric cancer, brain cancer, and ovarian cancer as well as new developments around adult psychosocial and pediatric issues. Discovery that hepatitis B and C viruses generate markedly different clinical pathologies highlights potential change in treatment plans for newly diagnosed patients. The overall response rate for elotuzumab in the study was 79% compared to 66% for the control arm, also statistically significant. The drug, elotuzumab, binds to a protein, “SLAMF7,” that is found on the surfaces of both cancer and immune-system cells. Scientists believe this triggers the immune cells to destroy the cancer cells. "This is probably a practice-changing type of treatment," ASCO president-elect Dr. Julie Vose said. "I expect they will get approval." Auerbach, contacted by email, argued that investors were misreading the data. He said that Roche’s Herceptin, a gold standard drug in this setting, had higher rates because only patients who really had the genetic mutation that is required for any of these drugs to work were included thanks to more accurate testing at central laboratories. The new research suggests that providing men with chemotherapy as soon as cancer spreads beyond the prostate can extend life by an average of 22 months. What follows is a quick scan and summary of the ASCO research abstracts focused on studies of checkpoint inhibitors. In addition to Bristol and Merck, noteworthy data is also being released from Roche, AstraZeneca and Pfizer. This doesn’t mean that everyone should start taking nicotinamide. A benefit in patients who’ve already gotten skin cancer won’t necessarily translate to those who haven’t. Damian also emphasized that nicotinamide, easy to obtain and "almost obscenely inexpensive," is not the same as another B vitamin, niacin, that can cause side effects such as headache and low blood pressure. All in all – despite the fact that it suggests a cheap and readily available way for doctors to help people at risk of multiple recurring skin cancers – this study says nothing that changes our existing sun advice. “This one’s ready to go straight into the clinic,” said Dr. Damian, a dermatology professor at the University of Sydney in Australia. However, she said the vitamin should be used only by people who get frequent skin cancers, not by everyone. Genentech plans to submit these Phase I/II data to the FDA as part of a New Drug Application for alectinib, which has been granted Breakthrough Therapy Designation. Researchers said on Wednesday that the combination of the experimental drugs MEDI4736 and tremelimumab had "a manageable safety profile with evidence of clinical activity, including in PD-L1 negative disease". Interim results from the trial of 287 patients with previously treated non-small cell lung cancer showed that the immunotherapy reduced the risk of death by 53 percent in those with the highest levels of the biomarker, compared with those treated by chemotherapy. The LUX-Lung 8 Phase III trial directly compared the efficacy and safety of two EGFR-directed treatments, afatinib* and erlotinib, in patients with advanced squamous cell carcinoma (SCC) of the lung, progressing after treatment with first-line chemotherapy. Dix said the tailored approach based on the genetic profile of the tumor helps doctors give additional treatment only to children who have a higher risk of relapse, sparing those who can achieve a cure with less chemotherapy from the additional side effects.